This article originally appeared in St James and Emmanuel’s Together magazine. Colourful Dreams school in Mangochi in southern Malawi provides over a hundred children with the opportunity to learn, develop and pursue their talents. The school is the only one within a 5km radius which doesn’t charge fees so for many children this is the only place where they have a chance of receiving an education. The school has one classroom and students eagerly squash inside to take part in their lessons but for hundreds of other children in Mangochi, they lose out due to a lack of space or being unable to afford the fees at the other nearby schools. The No Barriers Foundation – a charity I founded in 2016 – partnered with Colourful Dreams this year with the aim of building them a second classroom. The West Didsbury CE community – staff, parents and children – have, as ever, provided enormous support for our work. Staff and parents ran the Manchester 10K, classes created art work to sell, two pupils hosted a yard sale and one pupil cycled 10 miles to help raise the funds needed for a second classroom. Thanks to their efforts, in January 2019 building work will begin at Colourful Dreams. 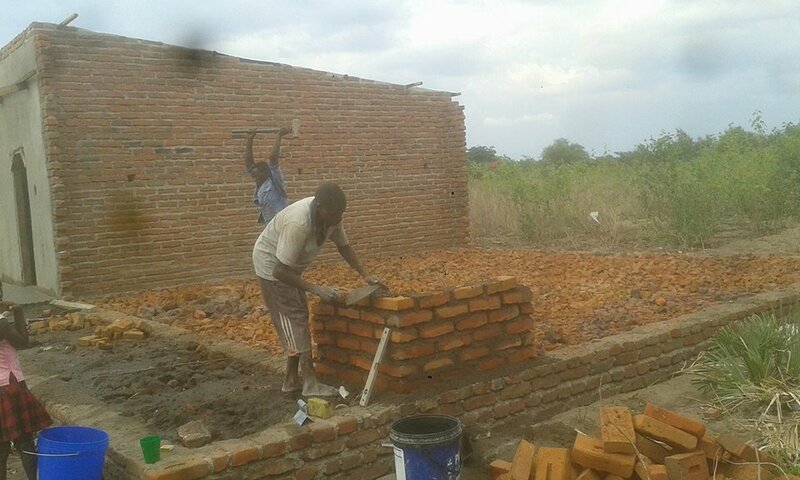 This building will be far more than bricks and mortar; for those children without a school we are giving them the chance to reach their potential and whilst this won’t break the cycle of poverty that exists in Mangochi, it will certainly leave a few cracks in it. In last year’s Together magazine I had the opportunity to tell the story of how No Barriers grew from a small book drive for a school in Tanzania to a registered charity which, at the time of writing, had sponsored teachers and resourced schools in numerous countries with children’s books and internet access. The focus of our work has always evolved depending on the needs of our partner schools and whist all of these schools would benefit from more books, many of them lack very basic essentials such as access to clean water. No matter how many books we send to a school, if the children are going thirsty then there is little chance of them achieving so we are now trying to do what we can to tackle this issue. During West Didsbury CE’s recent harvest festival, the school community supported No Barriers’ latest project in Uganda building pumps at schools without access to clean water. Thanks to the generosity of parents and carers, we will be able to build three pumps at three schools in southern Uganda which will bring clean drinking water to over three hundred children. Installations will begin in February 2019 and we can’t wait to see the impact they have. At West Didsbury CE we put our values in to action and during this academic year the pupils will begin to see the difference they’re making to hundreds of lives throughout the world. There are more classrooms we can build and more wells we can drill and with your continued support, that’s exactly what we’ll do.